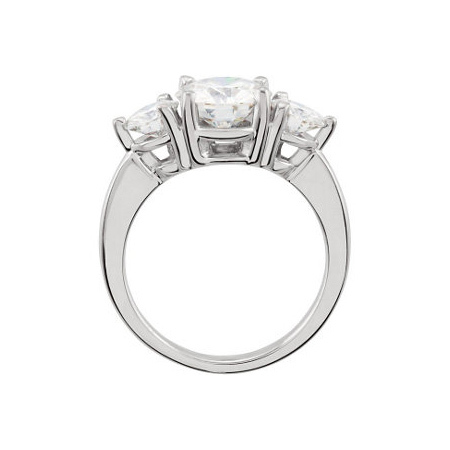 This classic 3 carat three-stone Forever One moissanite ring is crafted in polished 14k white gold. 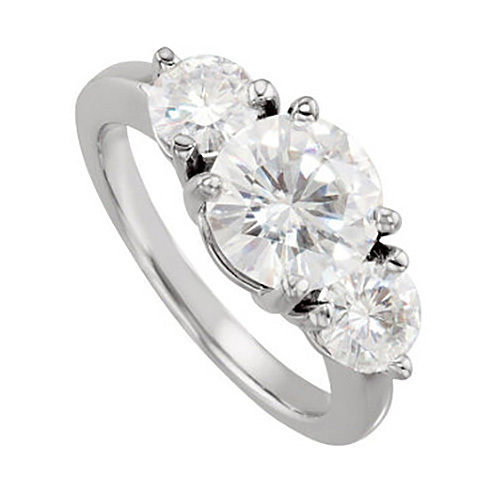 One 8mm round and two 5mm round moissanite jewels (3 CT TW), prong set. Carat weight listed is diamond equivalent weight. Ring weighs approximately 4.84 grams. Moissanite! Born from a star this stunning jewel has a brilliant past. Originally discovered in celestial asteroids, Moissanite has a fire, brilliance and luster greater than the finest diamonds.